In the 1901 census, Andrew Cullen is shown as head of the family, living in a 9 room house with his new wife Elizabeth and farming 73 acres at lot 5, Range 5, Templeton Township. His brother Thomas and his twin brother Patrick also resided there. By 1911, Andrew and family were living in Cobalt, Ontario where he was working as a mining manager. 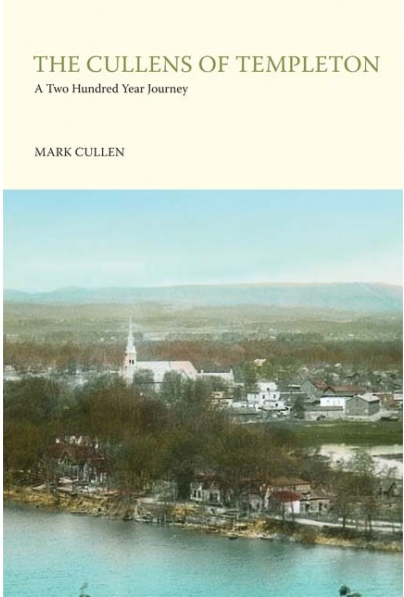 In the 1921 census, Andrew Cullen is living with his family in Haileybury, Ontario. His occupation is 'prospector'. Sometime after 1921, he moved to Montreal, Quebec where he died in 1936. [S180] L'Ange Gardien, Angers, Quebec - Baptisms & Burials, 1864-1900 - SGO, 72.